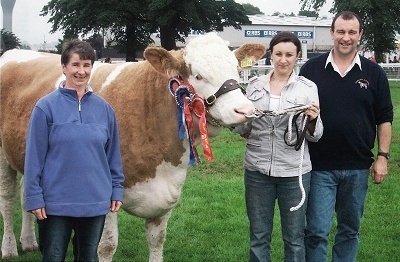 Drumsleed Simmentals is owned by Gerald, Morag and Douglas Smith. 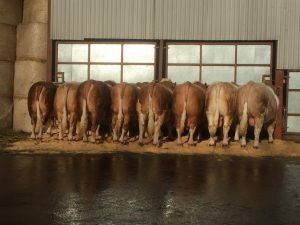 The Drumsleed Herd of Pedigree Simmentals was founded in 1981. 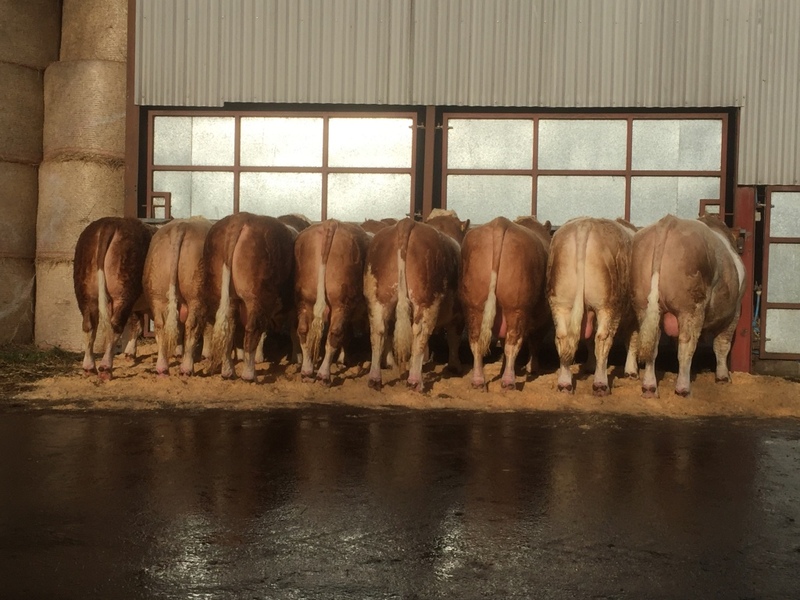 Having tried several different breeds we found that the Simmentals were the most docile, dual purpose breed for beef production and milking ability for the commercial cow. The first purchase was Coulmony Jenny and some of her bloodlines are still in the herd more than 20 years later. Another three females were purchased at Charlie Allan’s Ardo Herd Dispersal, one of which produced Drumsleed Sandra, dam of our prize winning cow Drumsleed Erin. Sandra produced 12 calves in her last 6 calvings, including a set of triplet heifers which have all produced twins themselves.